These are often not typical “kids losing a parent” stories because they are occurring in the context of a community-wide epidemic. That means that a kid often has seen other people die of the same disease…and that this is a fear that they may have lived with and planned for emotionally for years, often long before a diagnosis. I grew up thinking I would be dead by thirty and planning my life that way. That’s just how things were for young men in my community. Some time around 1985, my brother and I were about to leave for a trip to visit my father in San Francisco. My mother was apprehensive about letting us go. This was a time when everyone thought that just being around a gay man would give you AIDS. People were worried about sitting on toilet seats in public restrooms and using silverware in restaurants that gay people may have used. My mom let us go, but my dad had to promise to wash the dishes really well and not kiss us on the lips. Debates raged about whether the disease was punishment for the sin of homosexuality, with homo-hostile people touting AIDS as the express trip to hell that gay men deserved. This mentality was condoned with silence from the White House as the death toll rose. (Hence the ACT UP slogan “Silence = Death.”) President Reagan did not address AIDS or even publicly say the name of the disease until 1987. I interpreted the silence in the most personal way: Gay people don’t count and we don’t care if your dad dies. At the same time, in my high school, AIDS was only a joke. Literally. What do you call Rock Hudson on a skateboard? Roll-AIDS. Classmates who had long grown out of the phase of worrying about boy-germs and girl-germs reverted to teasing one another about AIDS like it was a new form of cooties. Get away from me before you give me AIDS! My peers’ ignorance enraged me. I knew I could shut them up if I told them how AIDS was not as removed from them as they thought. But by doing that, I was afraid they would figure out my dad was gay. And then what? They would assume that because my dad was gay, he also had AIDS. Would people stop talking to me? Be afraid to be in the same room with me? The idea of people thinking my father was infected conjured up images akin to the final scenes in the movie E.T. – dozens of silent quick-moving men in silver spacesuits appearing out of nowhere to seal up our house with my dad inside. I braced myself for the news that my father has never delivered. I thought it was a matter of when – not if – he contracted the virus. In my mid-twenties, my then-boyfriend said he thought it was “morbid” that I turned first to the obituaries whenever I opened the newspaper. I hadn’t really noticed until he said something about it. It was an old habit: combing the listings, looking for young unmarried men with no cause of death mentioned, and only an occasional reference to an AIDS organization designated for memorial donations. Finding the clues was my private way of honoring the dead; making sure they had not died unnoticed. In 1999, a friend asked me to volunteer with her for a bike ride that raised funds for AIDS research. At first I was repelled by the idea. I was tired of AIDS; it didn’t seem like an issue that affected me since I didn’t know anyone who was HIV-positive. But after I thought about it some more, I was flooded with memories about how AIDS had affected my childhood. My strongest memories were from Dad and Russ’ involvement with the Twin Cities Gay Men’s Chorus. The chorus lost dozens of members to AIDS, and my awareness of this grew into an expectation that someone else was going to be getting sick. Watching the men around me take care of dying friends, bury them, and then rally for the next person’s dignified death had a long-lasting effect on me. 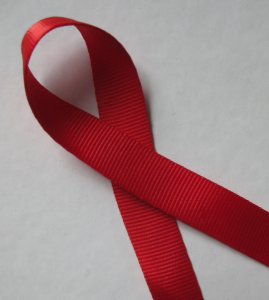 I had never shared my feelings about AIDS with my parents because I thought they did not want to talk about it. Anyway, I figured that watching their friends die was already enough for them to have to deal with. I had thought that because my parents did not contract the virus I did not have a right to consider myself “affected” by the epidemic. After talking with other children with gay dads, both HIV-positive and negative, I saw that I was only denying how I had been affected and was suppressing my feelings. When I really let myself think about it, I realized the reason I didn’t know of anyone who was HIV-positive was that those who were positive had died years earlier. I also found that there were indeed positive people around me, but I didn’t know their status because they were successfully maintaining their health. Dad and Russ and I sometimes joke that even though I am heterosexual, I am “gayer” than they are. They have few gay friends, and rarely attend LGBT community functions. I am the one who stays apprised of LGBT events and issues and I often have to fill them in on the latest. Underneath our joking about who is gayer is the tacit understanding that they would be more involved in the gay community if more people from their old social networks were still alive. The impact of AIDS has also contributed to seemingly unrelated long-term changes on LGBT communities. One example is the solidarity that now exists between gay men and lesbian women for political and community organizing. In the 1980s when the government was dismissing AIDS as a “gay disease,” gay men drew from the organizing skills of the women’s health cooperatives to help them meet the community needs that the government ignored. Nowadays, young queer activists on university campuses take it for granted that men and women work together. They find it hard to believe how separate lesbians and gay communities were just a couple decades ago. Men and women working together to fight AIDS also had a direct impact on creating queer families in new ways. “Without the breaking down of the huge gap between lesbians and gay men that AIDS entailed,” Stefan points out, “we would not be seeing so many blended queer families.” That is, gay men and lesbian women creating biological children that they co-parent together in non-romantic partnerships.